A palindrome number is a number which remains same when its digits are reversed. For example, number 24142 is a palindrome number. On reversing it we?ll get the same number. 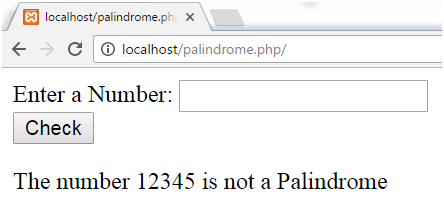 We'll show the logic to check whether a number is palindrome or not. On entering the number 23432, we get the following output. On entering the number 12345, we get the following output.